If one of the basic aims of education is to enable people to understand the world they live in, then reading and writing are two of the most inportant tools necessary to fulfill that aim. But teachers need to realise that simply training a child to read or write never guarantees that he or she will grow up to become a good reader and/or a good writer- something extra needs to be done for that. 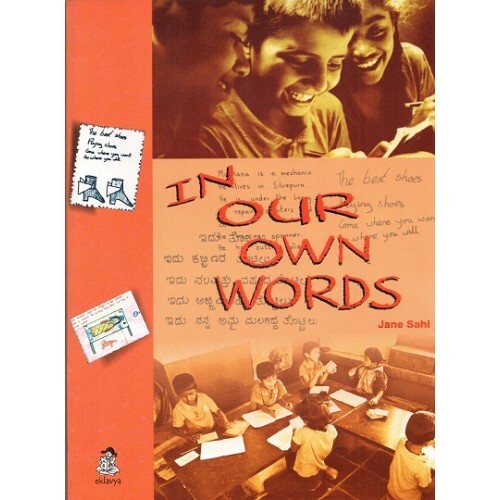 This book tries to explain the various tested ways through which teachers can do that extra bit for their students, all of which is ultimately with the hope that those students will then go on to become independent thinkers, as well as express their thoughts freely, 'In their Own Words'.